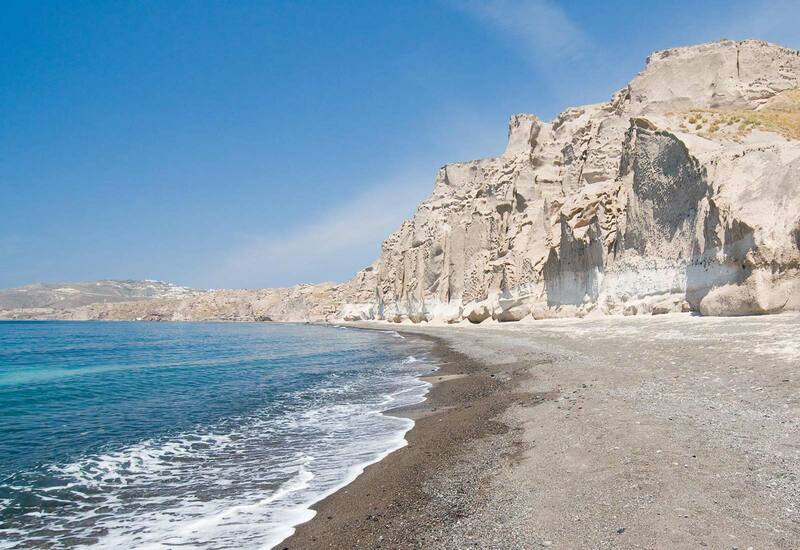 Being a volcanic island the beaches are unique, with black lava sand. 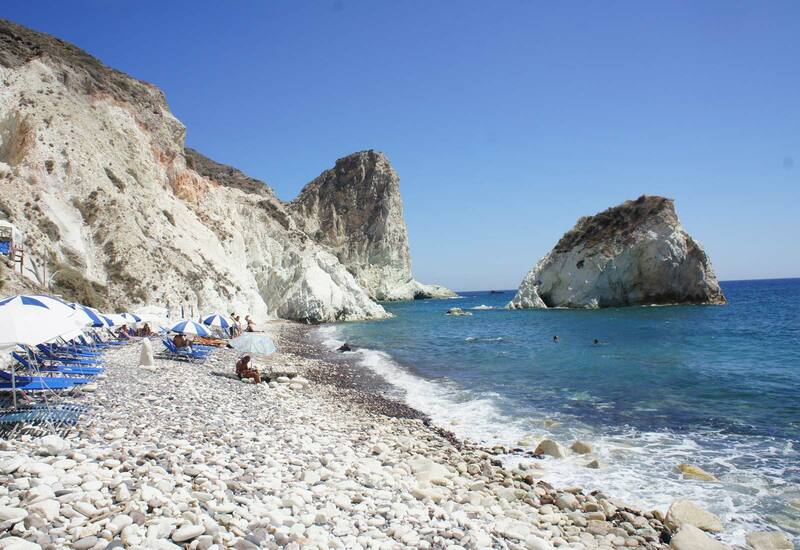 Some of the most famous and organized, are Kamari, Perissa, Perivolos and Monolithos. 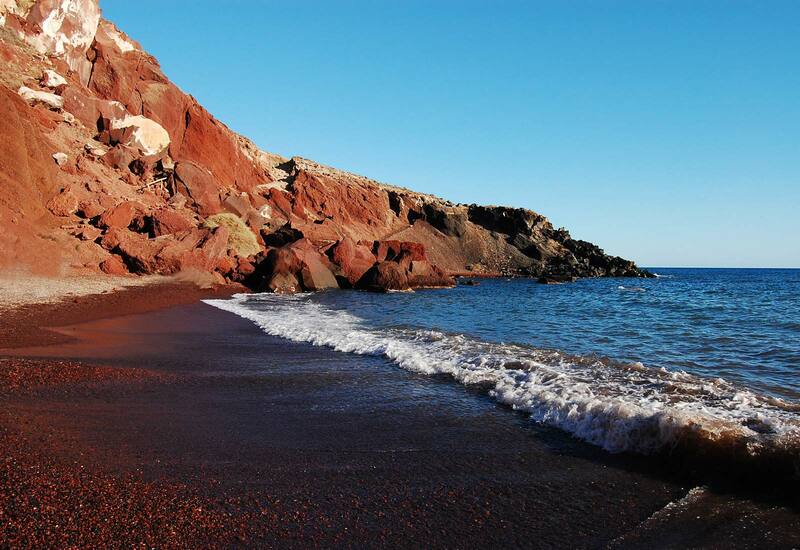 More traditional and quiet is the Red BBeach, with black and red stones, placed under the red rocks, and the White Beach, with white stones, where you can arrive only by the sea with small boats..
Don’t miss to take a tour to the volcano with traditional boats form the old port of Fira.Swim in hot springs, dive , see the life and listen the voices under the sea. 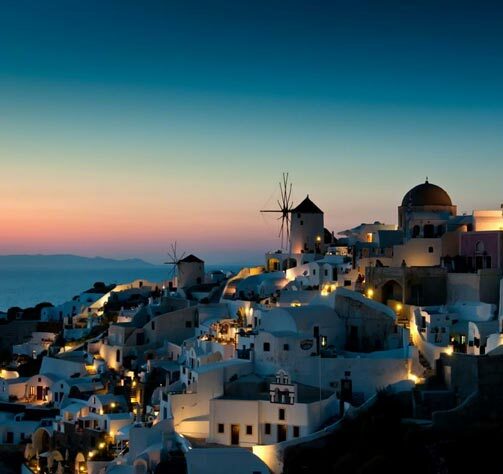 Santorini is the most fascinating and most talked about island of Greece, in the Aegean. 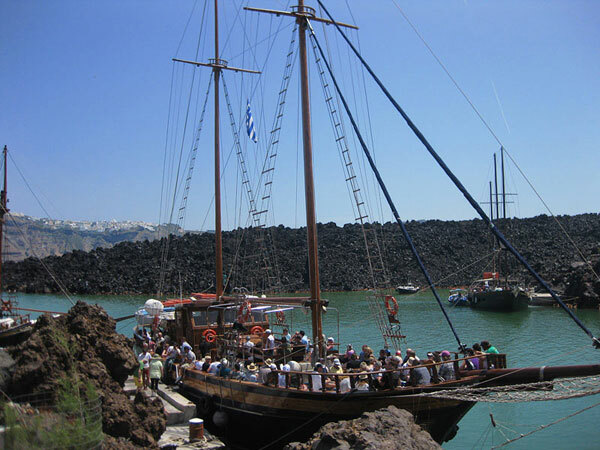 The island Of Santorini was formed out of lava , from the volcanic eruption in 1660 B.C. 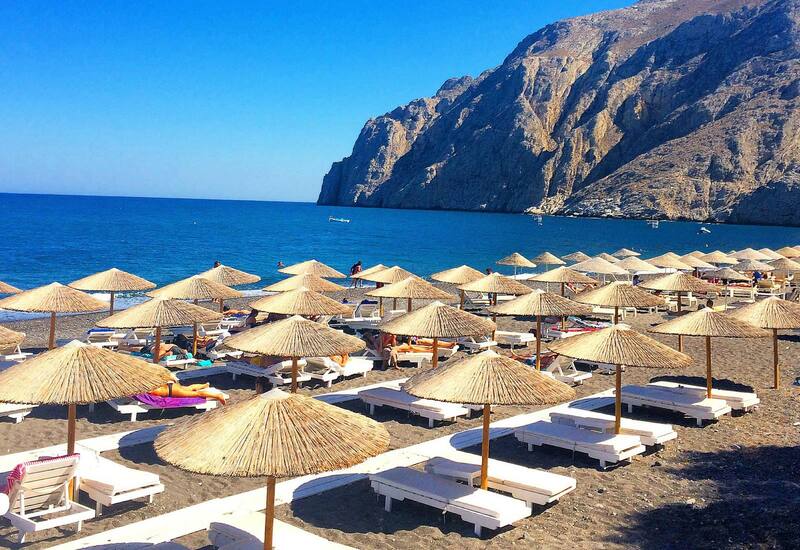 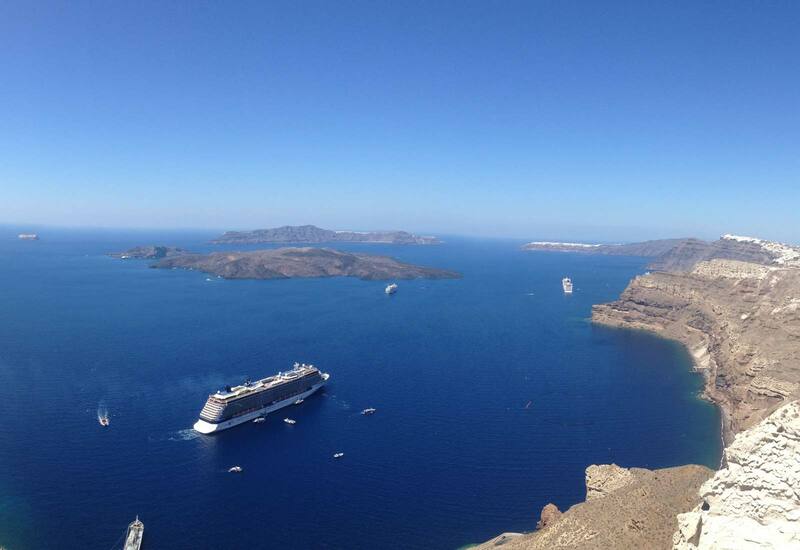 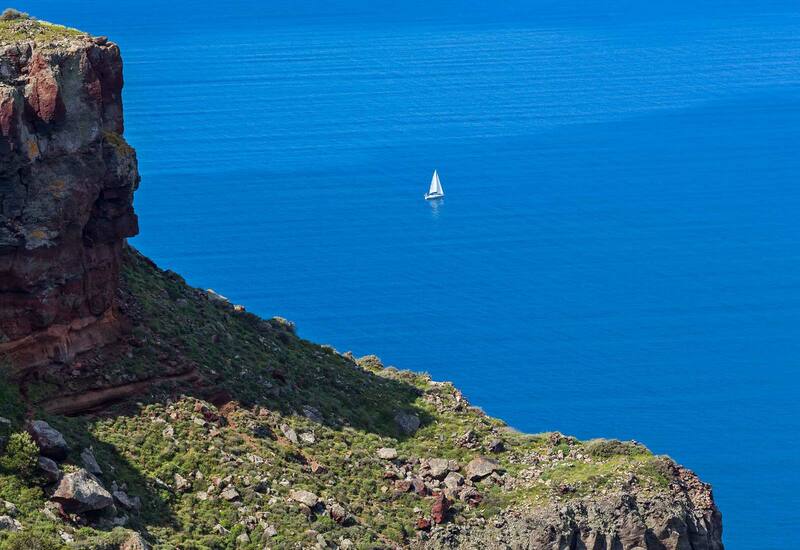 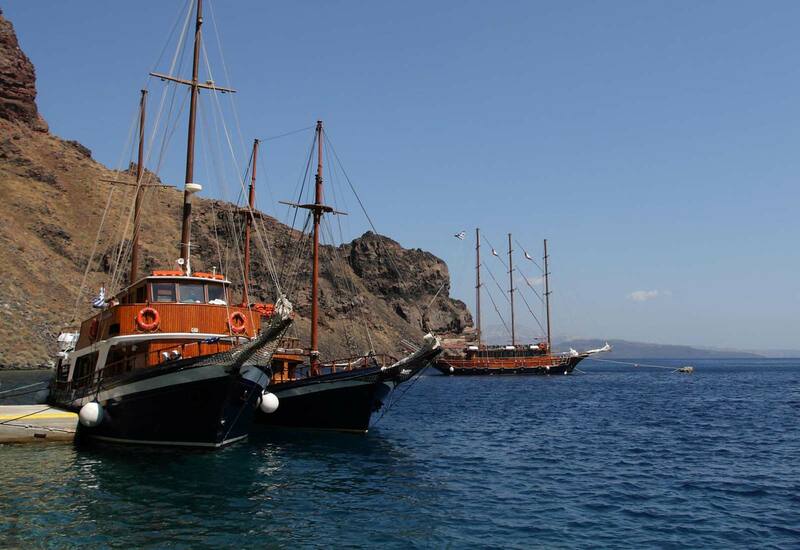 Unlike other islands in Greece, the villages sit proudly on the top of the cliffs of caldera.